I love homeschooling for so many reasons, from the memories I’m blessed to make with my little ones to seeing the light in their eyes when they learn something new, from the lessons I’m being taught along the way to the days when I know it’s time to put the books away. Homeschooling is about so much more than giving my children an education. 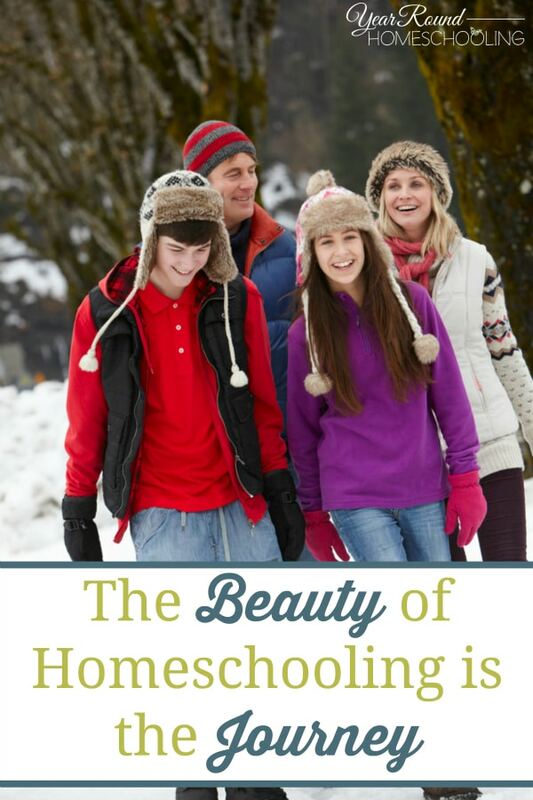 Homeschooling is a way of life, it’s about loving, learning and living life with those you love most. There is a reason that I refer to homeschooling as a journey all the time, because to me a journey is the perfect picture of homeschooling. A journey takes you away from the normal and along the way you can encounter mountains and valleys, which can lead to beautiful sunsets from a mountain peak and it can also bring you through the muck and muddy places in valleys below. If we were to eliminate either the highs or the lows it would no longer be a journey, it would simply be a destination. The beauty of homeschooling is that it is a journey, one on which we continue to grow while we encourage our children to begin to grow. When we prepare for a journey, we don’t look forward to the end. We long to enjoy each and every moment along the way. We pack cameras, buy postcards, pay outrageous amounts for the unique experiences available only on that journey, all of which we do to make memories that will last a lifetime. Shouldn’t our homeschool journey be the same way? All too often I believe that homeschool moms forget to live today and instead they’re looking down the road. Whether our eyes are on the end of the school year, the new homeschool curriculum for next year or even our child’s high school graduation, often the future is on our minds instead of the present day. When we spend our time looking ahead we miss out on what is happening here and now, today. Our homeschool journeys are full of unique experiences that we likely won’t encounter again. So, instead of preparing for each tomorrow or even the end of our homeschool journey, shouldn’t we instead be enjoying each science experiment, every book that our children read to us and all of the lessons in between? 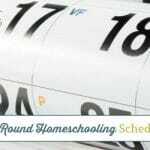 We need to ensure that we’re looking forward to each day of our homeschool journey, no matter what it holds. The beauty of a journey is in the experiences from the beginning to the end, not just the highlights. As you’re walking through each homeschool day, try to remember that this is part of a path on your homeschool journey and that this is a section you will never walk again. You won’t ever see your child smile when they finally understand how to diagram a transitive verb and an intransitive verb again, nor will your daughter for the first time understand how color is absorbed into your eye. Each day on our homeschool journey is unique and if we don’t pay attention today we’ll miss out on amazing steps taken that create memories that last a lifetime. What is your favorite memory of today’s homeschool journey? The emails I get from u are so incredibly encouraging! I have a degree in education but started homeschooling my 3 girls this year! We love it but sometimes I get hard on myself! These emails always lift we up & help me realize I am doing just what God has called me to do!